Diamine looks to be stepping into the breach with their forthcoming Shimmer inks. 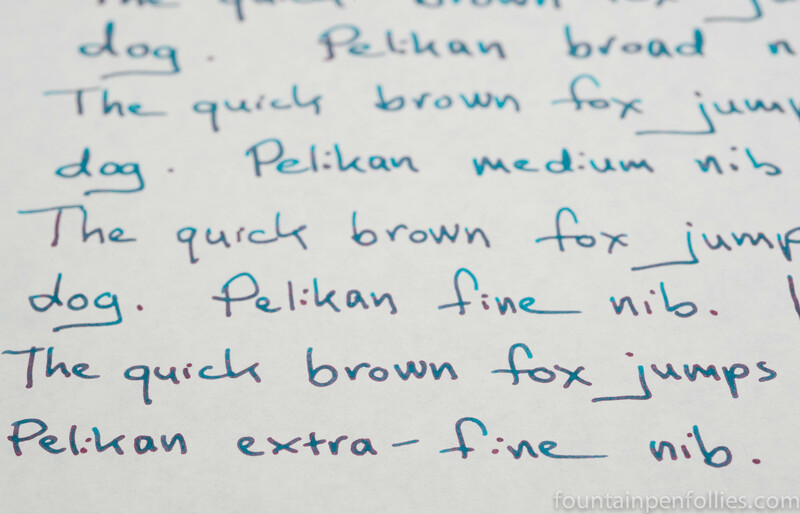 There are some great early reviews of those on Fountain Pen Geeks Forum by Chrissy. I can’t wait to try some of them. Yeah, it certainly looks more vivid than the Blue or Grey (the blue is especially anemic I thought), yet more useable than the red which is kind of all-singing all-dancing 😛 Wish they’d try another color of inclusion. I don’t think I could use it daily, but I was really surprised by how much I loved this. It’s the best of the four, in my personal opinion, and one of the best new inks I’ve tried in a long time.